Have you decided to upgrade the windows and doors in your home to uPVC? If you have, you’ve taken the first step towards a great choice. There are many benefits to uPVC frames, from sustainable manufacturing to insulation, affordability and soundproofing. Brand new uPVC windows won’t even need much (if any) maintenance! The only thing to remember is that there are many types of uPVC windows and doors on the market. So, how do you know that you’re choosing the best of the best when it comes to uPVC windows and doors in Northern Beaches and surrounds? Let’s take a look. 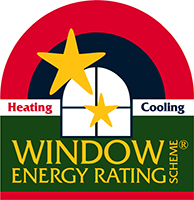 Check with your window and door company about the standard of their products. The uPVC products they install should meet a set international standard of quality. This means that the compound has been strictly tested and inspected and has passed with flying colours. uPVC that has not undergone this rigorous testing process may be of inferior quality or completely unsafe. The best uPVC products come from Europe. This is because other countries that manufacture uPVC do not have strict quality controls. This means that the uPVC can sometimes come contaminated with lead or other hazardous substances. 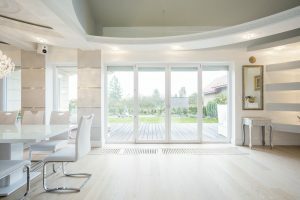 Obviously, you want your home or property to be a safe place, so ensure your installer of doors and double glazed windows in Sydney uses European uPVC. In fact, some of the best brands get manufactured in Germany. While it might be made in Europe, good quality uPVC comes designed and made to resist Australian conditions. This is important in Sydney, with the harsh sun in summer and the wild storms during winter. Make sure that the manufacturer has used a formulation that is designed to stand up to harsh weather conditions. Inferior quality uPVC may wear and tear quickly. Is your door and window installation company able to provide you with a warranty for your uPVC frames? Good quality double glazed windows and double glazed doors in Sydney will come with a warranty and a certificate of authenticity. If they can’t provide this upon request, shop elsewhere. Good quality uPVC should provide effective and efficient insulation for your home or property. As well as keeping you comfortable in winter and summer, this should shave some dollars off your power bills. Make sure that the uPVC you choose will provide sufficient insulation. The structural integrity of your new windows or doors is important, for security as well as insulation. Your uPVC frames should have sufficient reinforcements. They should also have a good quality locking system because your safety is a priority. Are you thinking about installing some uPVC windows or doors in your Sydney property? Give Mint Windows and Doors a call. We’re more than happy to come out for a quote or provide any advice that you may need. Find us in Silverwater or get in touch today. © 2019 Mint Windows and Doors. All Rights Reserved.